Jussi Vares heads for the tropics on wings of booze! An ex-girlfriend of Vares’ is murdered in the Canary Islands. Jussi flies south and finds himself on an all-inclusive trip to the dark heart of paradise, where everything, including life, is cheap. Vares’ most personal gig to date takes him to misty mountainsides and poolside patios. This Vares adventure is a package deal of suspense and inappropriate humor. It’s as bracing as the day’s first sip of Long Island ice tea. 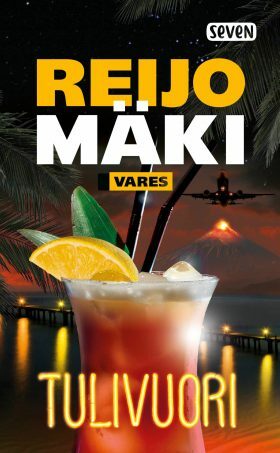 Two million books sold, and there’s no sign of Vares slowing down – Volcano is one of the toughest Vares novel to date!